October 11 is Dulce de Leche Day. Dulce de leche is a confection prepared by slowly heating sweetened milk to create a substance that derives its flavour from a chemical reaction between amino acids and reducing sugars that gives browned food its distinctive flavor, also changing colour, with an appearance and flavour similar to caramel. Literally translated, it means "candy [made] of milk" or "sweet [made] of milk." Its origin is a highly debated topic and it is popular in most Latin American countries. Whether you call it cajeta, manjar or arequipe, depending of your country of origin, or whether you use it as a spread or prefer to eat it by itself, Dulce de Leche is one of the most emblematic Latin ingredients for desserts. 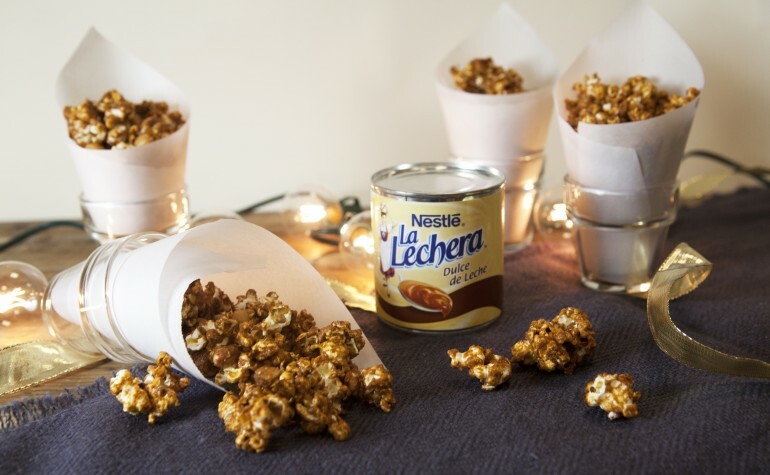 To commemorate this sweet holiday, Nestlé La Lechera wants to share with you four ways to incorporate dulce de leche in traditional dishes. Have you ever thought that an empanada could be extra sweet? 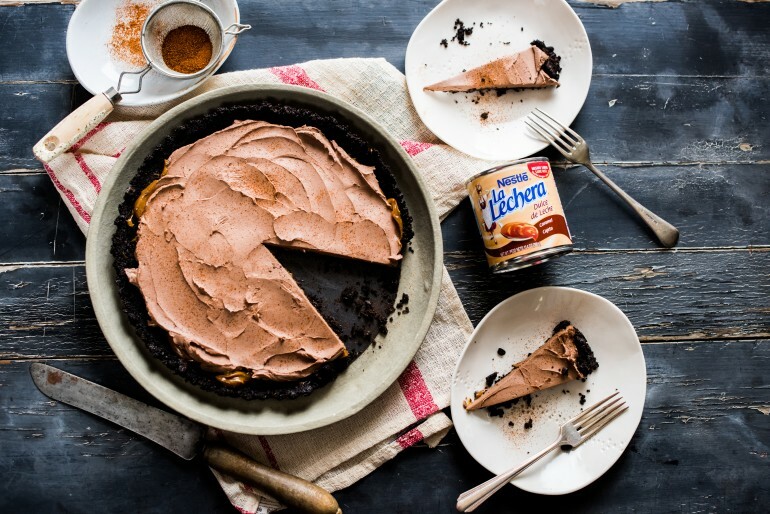 Or that you could combine Sriracha with Dulce de Leche in a chocolate tart? 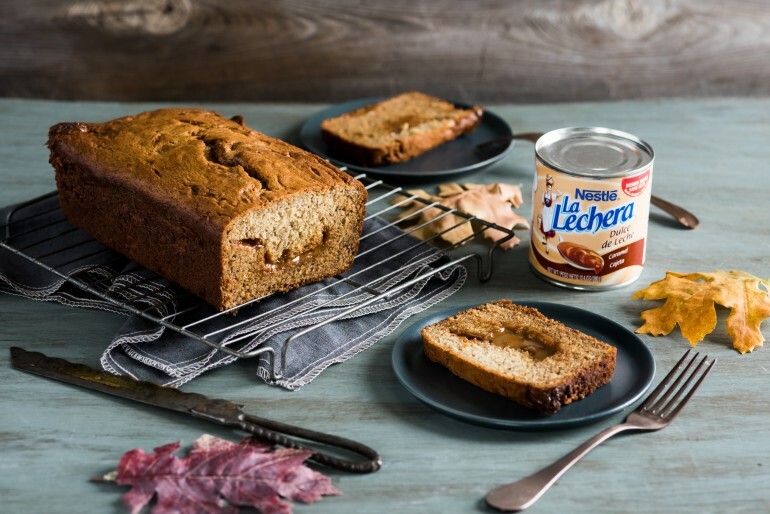 Check out the below options for unexpected but delicious ways to use Dulce de Leche and let us know which recipe was your favorite. 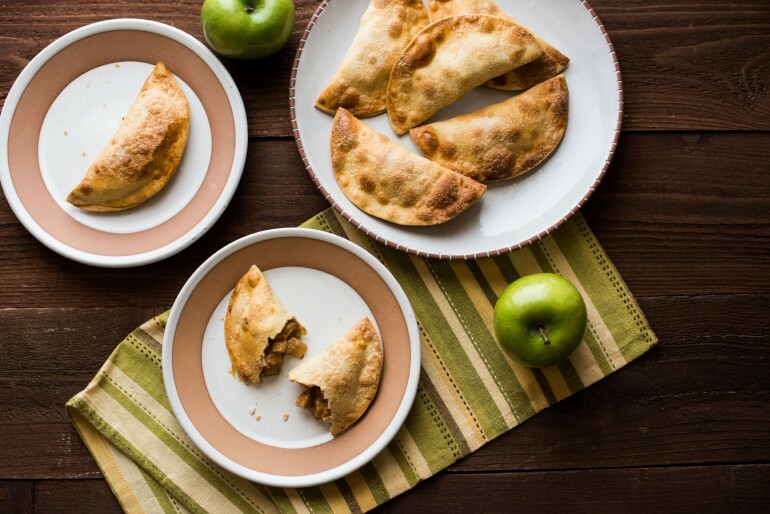 TIP: Ready-made refrigerated pastry sheets can be used in place of empanada discs. Simply use an inverted bowl that measures 5 inches in diameter to cut out circles. PLACE cookies in food processor; cover. Pulse until fine crumbs form. Pour into a medium bowl. Add melted butter; mix to combine. Press crumbs onto bottom of a 9-inch tart pan with removable bottom. Place in refrigerator for 30 minutes. MICROWAVE dulce de leche in small pitcher or liquid measuring cup until easy to pour. Pour over crust in a circular design. Refrigerate for 10 minutes. PLACE cream cheese in a medium bowl. Microwave morsels in a small, dry, microwave-safe bowl for 45 seconds; STIR. The morsels may retain some of their original shape. If necessary, microwave at additional 10- to 15-second intervals, stirring just until morsels are melted. Pour chocolate over cream cheese and mix until fully combined. Stir in sriracha sauce. POUR cream cheese mixture over tart. Spread evenly and gently. Refrigerate for 2 hours. Serve dusted with cayenne pepper or ground cinnamon, if desired.